Tough materials company Corning is bringing a new type of Gorilla Glass to touch-enabled notebooks in a bid to stave off scratches and damage caused by users' clammy mitts. 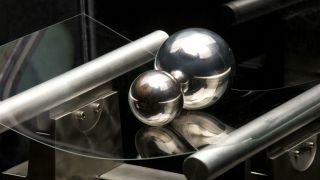 Corning claims that its new Gorilla Glass NBT will deliver "eight to 10" times more scratch resistance than soda lime glass and is better at preventing breakage if a scratch does appear. The company has identified that notebook manufacturers are increasingly putting touchscreens on devices, a trend that began to pick up pace after the launch of Windows 8 in October last year. It claims that its new glass solution won't ramp up the cost of notebooks either, adding 1-2% onto their usual retail price. Paul J Tompkins, Director of Business Development, Touch on Notebook, Corning Specialty Materials, told TRPro that Dell has indicated "strong support" for the new type of glass and will use it on a new model to be released later in the year. He said: "Gorilla Glass NBT is available and we expect to see it featured in new brands and models later this year. "The cost of designing Corning Gorilla Glass NBT into a device is very minimal, compared to the overall price of the device. We feel that for just a few dollars more Gorilla Glass NBT is a smart choice."